I love Spring because of all the gorgeous colors used. I love the food we eat on easter and the family gatherings we have. My favorite thing to do though is decorate my home. Here are a few of my favorite Spring Decor Ideas. This simple garland is co cute to add anywhere to your home. Don’t you love how colorful and cute this printable is? It is the perfect Spring Decor. I think this door hanger is just beautiful.. I can’t wait to make one! I love this color it just makes me so happy! This is the perfect decoration to add to a mantle or any table setting. I love the look of this piece of art it is so simple but is so fun. 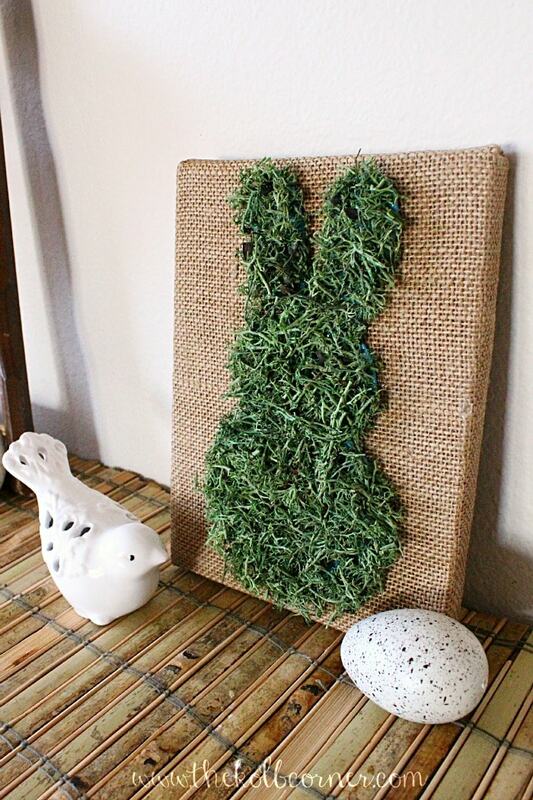 An Easter printable you literally can add anywhere in your home. Isn’t this saying just the cutest? This gorgeous mantle just makes me so happy to look at! I love all the bright spring colors they used to decorate with. It is simply beautiful! 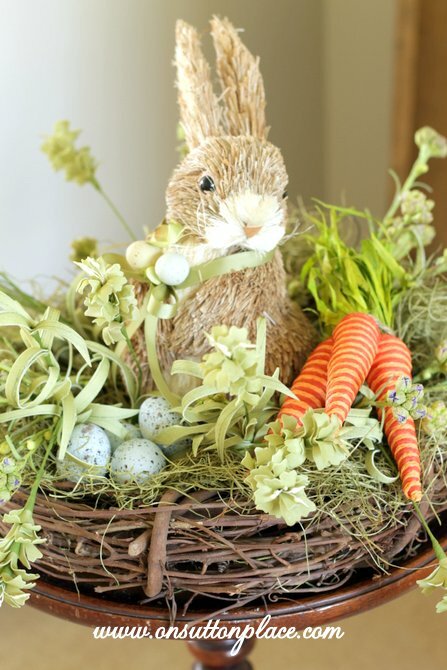 This DIY nesting bunny is adorable! This is the perfect decoration outside. 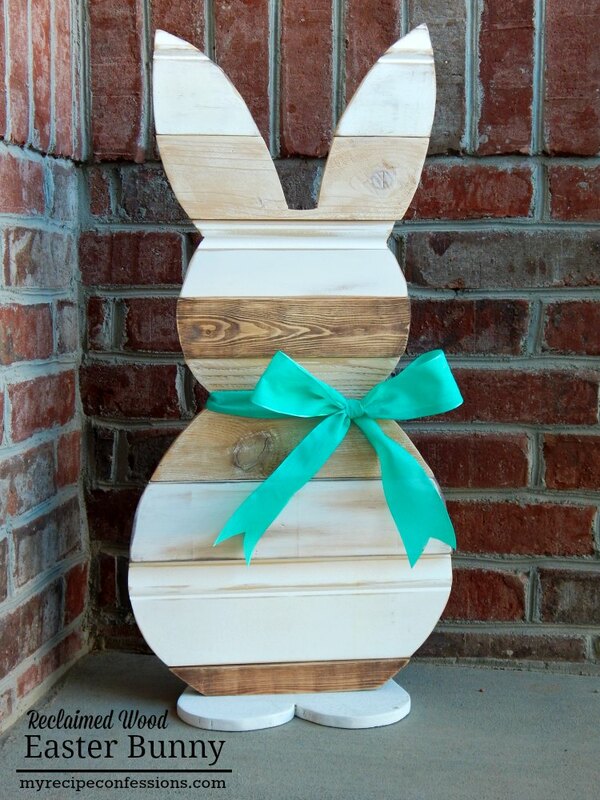 It is simple but a cute easter touch to bring out doors. I love how the wood looks in this piece it makes a huge difference. Such a fun little tree! I like how the eggs add so much color to the branches and flowers. This is just adorable! Okay this is just the cutest! I love garlands because personally I love hanging them on my mantle. This garland is adorable and soo fun! 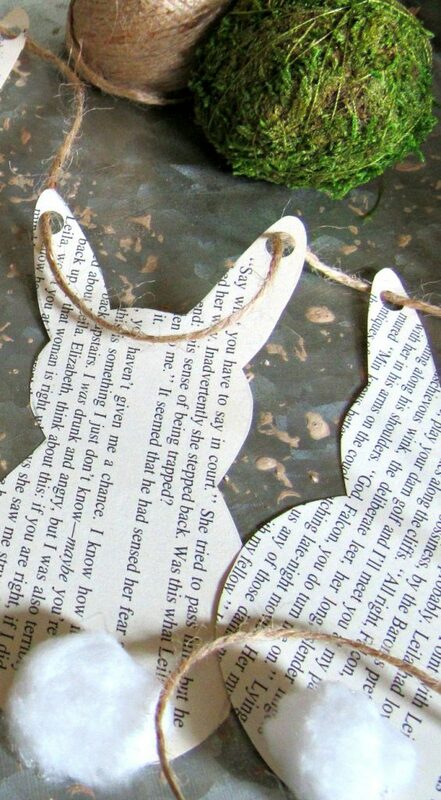 I love the different paper they used for the bunnies and i love the cotton ball tail. So amazing! I love a good flower arrangement and this one is beautiful. I love the baby breath added in to make this spring arrangement light and delicate. My favorite part about spring decorating is that you can put together a few simple touches around the home and it seems to transform the whole space. I adore the printables on the stand-up clipboard. I have clipboards hanging above my desk and I always switch out the pictures for each season. Lovely roundup! 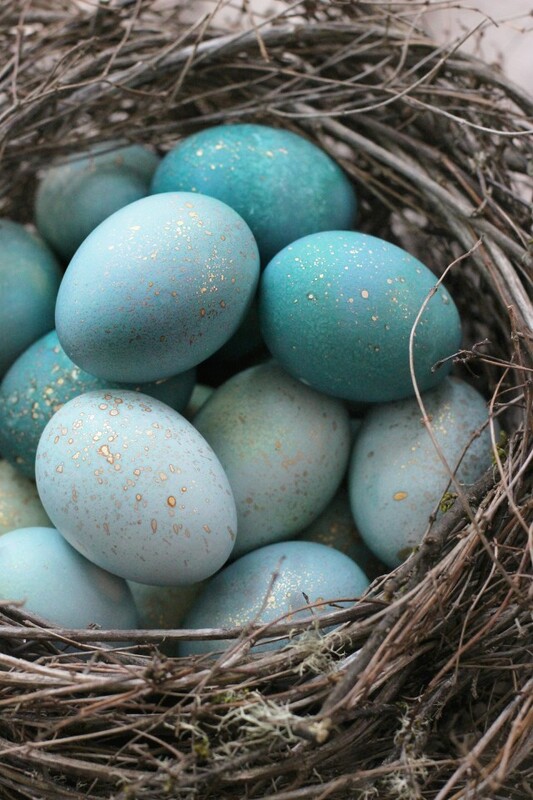 The dyed Robin’s eggs look so pretty as centerpieces!